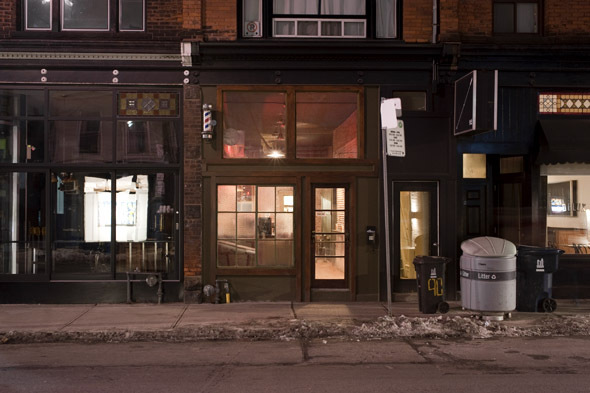 Oddseoul, a new late-night eatery is now open on Ossington . 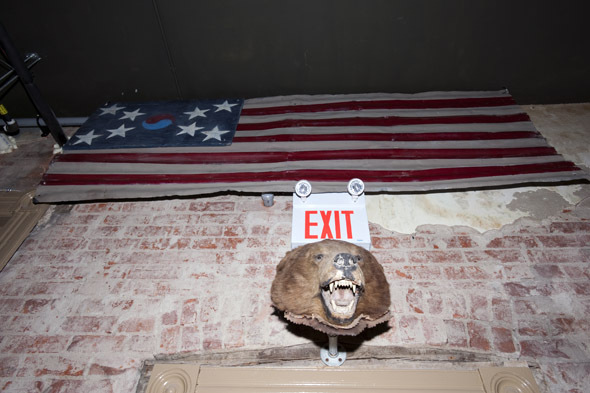 Brothers and co-owners Leeto and Leemo Han are already known for their four-year old Korean restaurant, Swish by Han , but this new snackbar aims to share another facet of Han brother's heritage, this time paying tribute their American upbringing in Philadelphia. 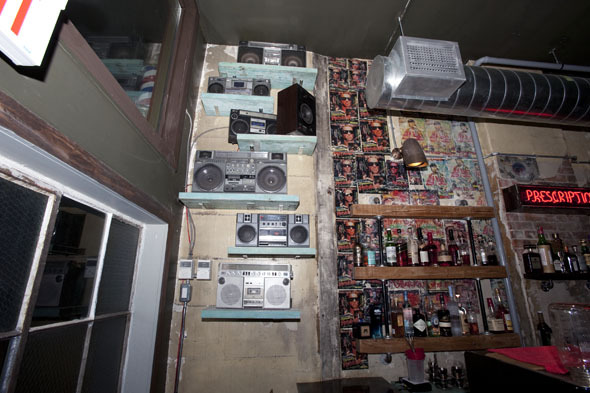 Inside, the dimly lit bar are relics of the 90's meld with Korean influences, boomboxes adorn the walls alongside Korean versions of Rambo and Terminator movie posters. 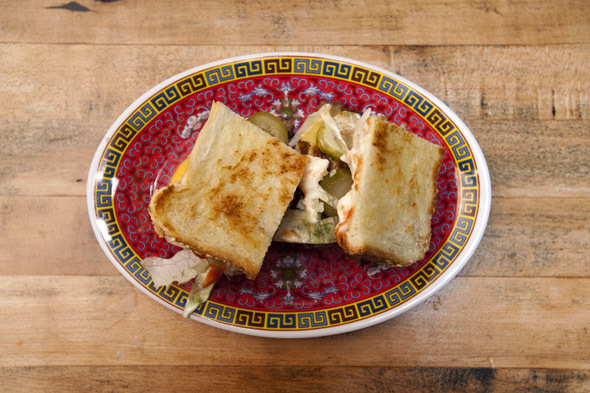 On the menu, whimsical combinations showcase the best of East meets West. Prime examples include sharing plates like the Tempura Chicken with Devilled Eggs ($14) and greasy-spoon inspired small plates like the Bulgogi Cheesesteak ($5). After an informal poll, I opt for the house favourite, The Loosey ($4), a juicy, griddle smashed breakfast slider made of short rib and ground brisket cooked atop a pile of onions and then topped with Kimichi hollandaise and served on toasted challah. It is easily my favourite of the night too. The backlit menu board boasts deconstructed Ssam Platters ($25) offering a spread of meats, condiments and wraps (lettuce, taco or rice paper depending on your choice of filling). 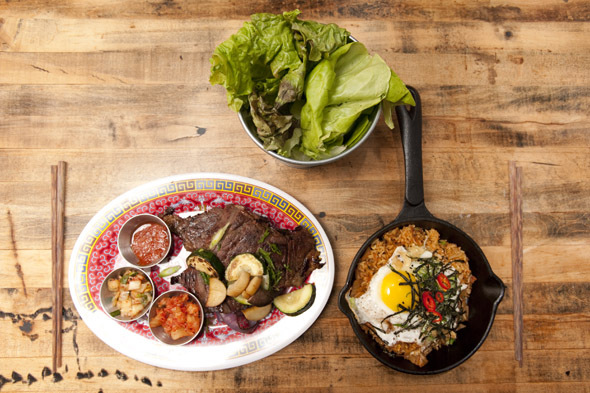 For instance, the Beef Short Rib platter is served with lettuce wraps, housemade pickles, kimchi and bean curd chili sauce, as well as a generous side of egg-topped fried rice. 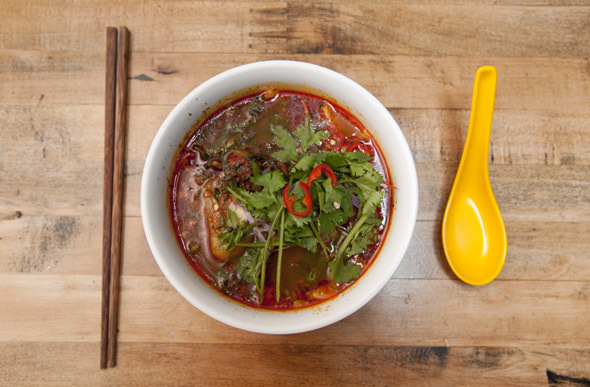 For a hearty, seasonal option, the Lamb and Potato Stew ($10), comes loaded with chunks of tender meat and packs impressive heat courtesy of the housemade chili paste and loads of cilantro and green onion kimchi. Currently, Oddseoul is only open from 6pm 'til 2am, but the kitchen is open just as late as the bar and plans are already underway to expand into lunch and breakfast hours with promises of introducing Torontonians to yet another Philly staple; Scrapple, a.k.a the poor-man's terrine. Though only a week old, the Hans have already hinted at additional concepts to be launched at the same address. 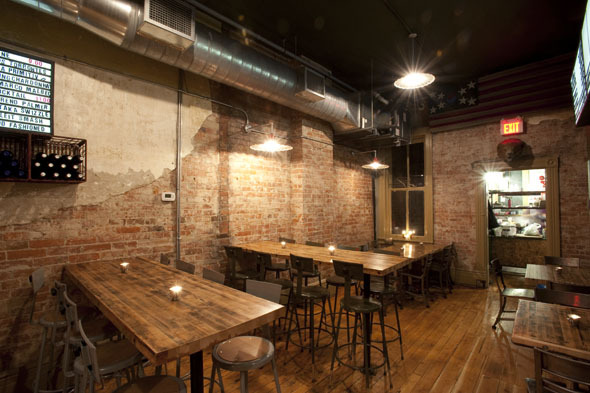 Already in the works are an event space on the second floor and a couple of private room karaoke bars on the third. Come summer a patio out back will add even more to its draw.